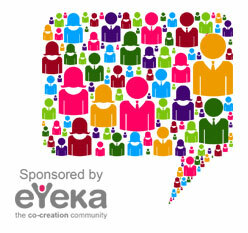 A couple of days ago, eYeka presented the first visualization of the use of crowdsourcing by brands over time. This interactive timeline, called Crowdsourcing by World’s Best Global Brands shows how the use of crowdsourcing has exploded since the early 2000’s. The objective is to have a rich and visual representation of how brands increasingly use of crowdsourcing to pursue marketing- and innovation-related business objectives. And it will be crowdsourced. In order to make it as complete as possible, you’re eagerly invited to contribute by submitting crowdsourcing initiatives that might have missed (note that we haven’t integrated all the crowdsourcing initiatives yet, more will be added on an ongoing basis). To do that, and to be listed as a contributor of the timeline, you just have to send an email to [email protected].